ENGINEERED TO PERFORM. LET’S KEEP IT THAT WAY. BMW-approved Equipment is designed to BMW’s standards. Trained Technicians use Original BMW Parts and know your vehicle better than anyone. Checkered Flag Motor Car Corporation has been serving the Virginia Beach & Norfolk Virginia vicinity since 1964. We are a family owned and operated dealership group, taking pride in everything we do. We offer new BMW models and used cars to the Virginia Beach area and have the staff in all departments to expertly serve our Virginia Beach, Newport News, Chesapeake and Norfolk friends. Our goal is no less than 100% customer satisfaction, so we’ll do what it takes to keep our customers smiling, and make them a customer for life. BMW has an exciting line-up for the new model year. Come see all the innovations in technology, style and comfort 2018-2019 models like the BMW 528i, 328i, X5, 128i, 535i or 335i have to offer. At Checkered Flag BMW we have an expansive collection of new luxury cars paired with competitive pricing. Our service to you does not end at the sale. Call us anytime with questions. Our entire team at Checkered Flag BMW is here to help. 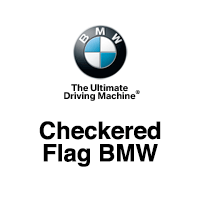 If you’re looking to purchase from a dealership dedicated to its customers, come by Virginia Beach’s Checkered Flag BMW and experience our service for yourself! Checkered Flag BMW promises nothing but the highest quality Virginia Beach used cars for drivers in Newport News, Chesapeake and Norfolk. Each used car, truck or SUV undergoes a thorough inspection and analysis before it’s place on our lot. We take the time to go over each model in our inventory inch by inch, ensuring each used car that leaves our lot runs like new for a very long time to come. Visit Checkered Flag BMW today at 5225 Virginia Beach Blvd Virginia Beach, Virginia and see the difference for yourself. We promise you’ll leave with a better opinion of used cars and used car salespeople. By working with a variety of lending sources, our finance experts are able to offer you a BMW lease plan or car loan in Virginia Beach or the Newport News area that fits both your lifestyle and budget. We make our customer’s dreams of owning a BMW a reality, and ensure our customers are fully satisfied with their purchase and finance option before they drive off our Virginia Beach lot. If you purchase a new 2018-2019 BMW car at Checkered Flag BMW we want to make sure your car stays in like-new condition. Our Virginia Beach service center can provide manufacturer maintenance and if anything were to ever happen to your car, our Virginia Beach car repair center will quickly get your car back on the road. If it’s BMW car parts you need, our parts specialists can assist you in picking out the correct part and quickly order it. Turn-around time for parts orders is often the same day! We also have a full-service auto body shop in Virginia Beach, for all of your collision and dent repair needs. We are excited you are visiting our Virginia Beach BMW web site! At Checkered Flag BMW we will do whatever we can to help you own the new BMW or used car of your dreams. We ask you to visit us at 5225 Virginia Beach Blvd near Chesapeake & Newport News and also learn more about us here. We are proud to serve Newport News, Chesapeake and Norfolk with our BMW services.